It is said that what we learn with pleasure, we never forget. The process of learning is supposed to be an enriching process and not a forcible one and that is when one can learn and nurture them to the optimum. 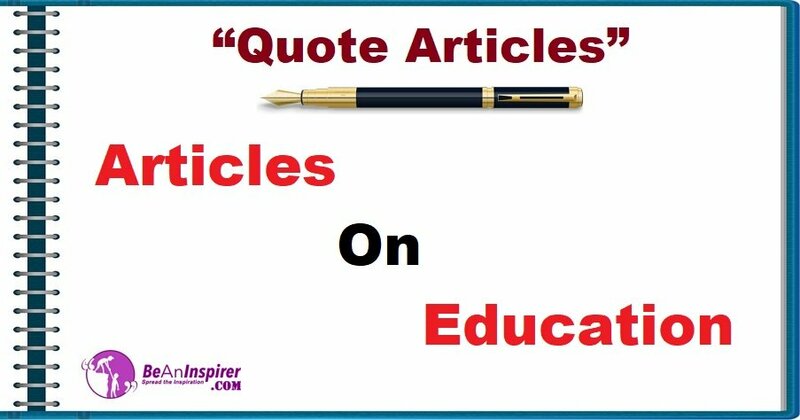 Many more such tips and sayings on education by the famous personalities in Articles on Education with the hint of serene natural photography is on the Quote Articles section.